Meet Linda Neal, owner of the Tierra Roja Vineyard and CEO of Obsession Wine Company, maker of the Tierra Roja Cabernet Sauvignon wine. 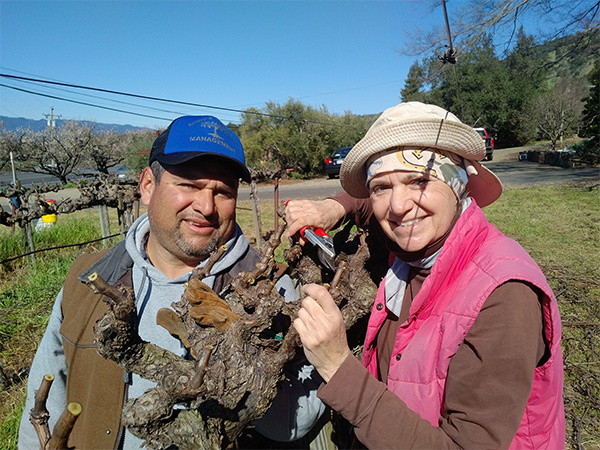 After 20 years as a Vineyard Manager and CFO of M&L Vineyard Management, Linda has stepped away from managing vineyards for others and is concentrating full time on her own vineyards and wine. Her desire to become a farmer began in High School. 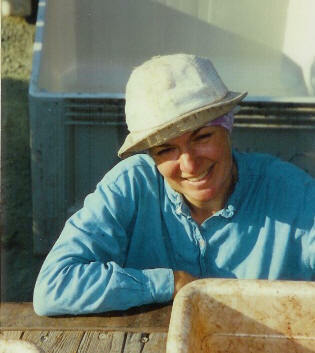 After growing up in Southern California, she moved to the central Napa Valley town of Oakville. From September 2018 to the end of 2020, Linda will be serving in the Peace Corps, in Morocco. Follow her blog for a glimpse into this adventure! 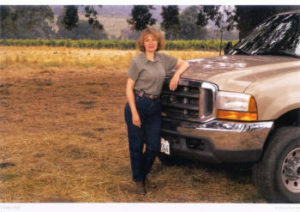 Here is Linda as “Miss January” for the Napa Valley Grapegrowers’ “Women in Winegrowing” calendar. “In high school I became involved with the Future Farmers of America (FFA). 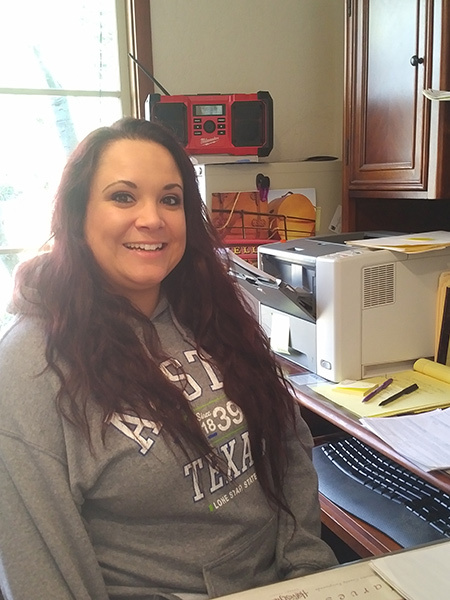 I came to realize that agriculture was the only essential industry and I wanted to be a part of that.” Linda worked her way up by earning degrees in Business and Ag Business and holding jobs in the sales of Ag products. As Linda launches this new venture, she continues to be involved with the community and FFA through the local St. Helena High Ag Boosters, Oakville Winegrowers, Napa Valley Grape Growers, Farm Bureau and Farm Service Agency. Linda also serves on the Vine Village Celebration Committee. Vine Village, Inc. is a non-profit program in Napa for people with developmental disabilities, and the Celebration is their major annual fundraiser. Ruben Rubio, and the Rubio Vineyard Management team, has been my right hand for the past 10 years. Before starting his own company, Ruben already had a long resume in the Vineyard Management business, including time with my former company. I enjoy working together in the vineyard with Ruben and his team, but I also know that while I am in Morocco, the vines could not be in better hands. has been your customer service contact since September of 2016. She has been critical in the success of the past two releases, as well as the upcoming ones. Lindsey Gorfine, citizen of both Canada and the U.S., lives in St. Helena, currently Visitor Center Coordinator for Mondavi Winery. Her family history in wine goes back to the establishment of Southern Wine and Spirits. 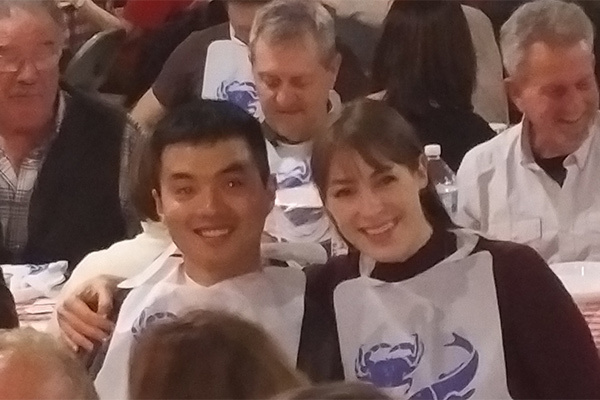 She has participated in many national and international wine events. In June she will complete her Wine and Spirits Education Trust (WSET) Diploma (level 4). In addition to helping Heather with customer service and office duties, James and Lindsey will be living at Tierra Roja, tending the garden and animals while I am away. Beginning with the 2015 vintage, Jeff Ames (right) is the winemaker for Tierra Roja. Jeff is acclaimed for many of his wines, including his own Rudius brand. 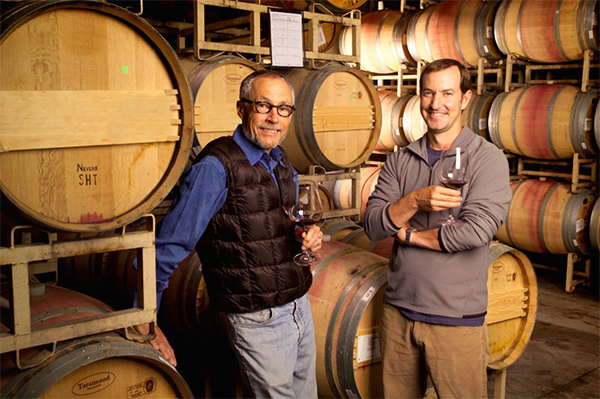 Jeff has been making wine from Tierra Roja grapes since 2010, as the winemaker for Tor Kenward (left), where he fashions the TOR Tierra Roja vineyard designate, among others. He also blends some of the Tierra Roja fruit into Rudius.